Total Piano Care is your resource for complete piano care. We exist to educate, assist, inspire, and provide guidance to piano owners from around the world, to consider and experience the numerous musical possibilities their piano has to offer. is our total concern and focus. To help piano owners - students, families, teachers, musical artists, teaching studios, concert halls, universities, and recording studios - to maximize the life of their existing piano. To inspire piano owners to play as their favorite artists do! Learning to play the piano is similar to learning and mastering and maturing in the use of language. It is much a lifelong endeavor, and a continuous journey. As you are taking pride and care in the use, preservation, and protection of your piano, we're here to help. Ask Us Any Question. Ask Us to Help You Address Any Concern, Remote Possibility, or Newly Found Perspective. Ask Us to Help You Find the Research and the Answers You're Looking For. We're Here to Help YOU on Your Journey. Need to hire a piano tuner? Piano teacher? Professional piano rebuilder? Piano repair expert? Allow us to help you to start enjoying your piano year-round, at an affordable cost that makes sense to you. Click on our Contact Us Page for a free quote. You can also Contact Us to locate piano lessons, new pianos, or pianos for rent using our free Piano Search Services! Simply fill out the required fields, and let us help you with the rest! Looking for your piano's age, serial number, or current market value? -- Click Here! Allow us to help you locate the right piano teacher, piano technician, or new piano for sale in your area. Learn about piano care and maintenance and how to gain the most enjoyment from your piano on our website. We are your complete resource for total piano care! Piano tuning, piano repair, piano regulation, and piano voicing, are offered per job or on a regular contractual basis to institutions, residents, studios, colleges, and universities. 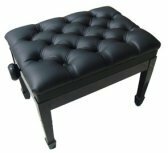 We also specialize in piano restoration and rebuilding services with factory trained technicians and seasoned artisan craftsmen who have a portfolio of 1,000s of pianos rebuilt during the past several decades. Looking for an affordable piano tuner and repair service in Southern California? You have come to the right place. "How often should my piano be tuned?" "How does humidity and the seasonal changes affect the condition of my piano?" "What's the difference between a piano that costs $100,000, and a piano that costs $10,000?" 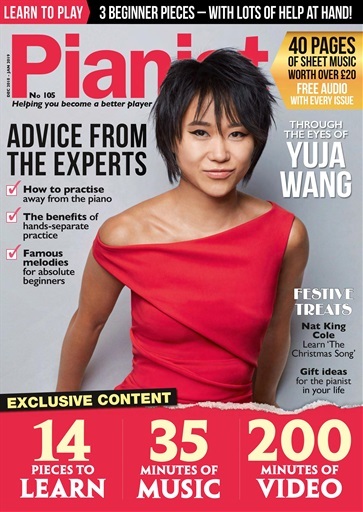 "How do I know what new piano to buy?" "Is it in my best interests to rebuild my piano?" "Yamaha, Bosendorfer, Steinway, Fazioli... what's the difference?" Total Piano Care is all about educating piano owners about the proper maintenance and care of their beloved piano. Total Piano Care Blog reports on the latest news & updates in the world of piano technology, piano care and maintenance, and pianists from around the world. About Us - Total Piano Care is a network of professional piano technicians, piano rebuilders, teachers, suppliers, dealerships, and piano movers who service clients across the United States. Piano Appraisal - How Much is My Piano Worth? A piano appraisal gives you a starting point to know how much your piano is worth. Find out the current market value of a new or used piano, here. What is a Pitch Raise? The Pitch Correction, Explained. What is a Pitch Raise? If your piano tuner / technician has informed you that your piano needs a pitch correction, you may be wondering,Is it really necessary? Isn't one tuning good enough? Piano Action Regulation adjusts the thousands of working action parts within your piano, resulting in several benefits. Piano Voicing - What is It? What is piano voicing? Why is it necessary? Can this procedure cause your piano to sound more beautiful? Piano refinishing can transform the outer aspects of your piano into a glistening masterpiece of perfection. Wireless iPad piano control is now possible with PNO3 made by QRS Music Technologies. Piano string covers are an essential component to keeps your piano’s “vocal chords” in top shape, while allowing them to release quality sound. Piano serial numbers help to identify the age of your piano and the history surrounding its production. Run a free piano serial number search, here. Piano Humidity Control is the KEY to preserving and maintaining your piano for optimal performance. Piano Care Tips: 8 Important Tips Every Piano Owner Must Know. Piano care tips every piano owner needs to know. Learn 8 of the most important piano care tips to help extend the life of your piano. Piano covers serve a two-fold purpose for your piano. Both aesthetic and practical. Learn why investing in a piano cover can save you thousands over the course of the piano's lifetime. Cory Care Products are a truly unique and world class piano polish, conditioner, and cleaner product line. iPhone Siri Piano technology is are now possible through the Yamaha Disklavier. Learn how to buy a used piano using this comprehensive checklist. Before you spend a penny, review all 50+ checkpoints. The tone quality of your piano is influenced by several factors. What are these factors? How can they be improved to help your piano sound like new again? QRS PNOscan Studio enables an acoustic piano to become a midi control & digital musical notation device, changing the world of music creation, forever. 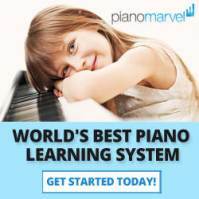 Piano Lessons Online - How are they superior to "traditional lessons? Here are the Top Ten Reasons why piano courses online deserve your attention. 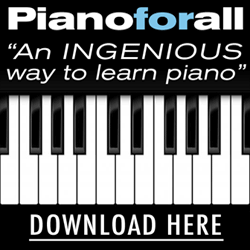 Piano For All, created and authored by Robin Hall, accomplishes TWO things what most piano teachers don't do - make piano lessons FUN and EASY. 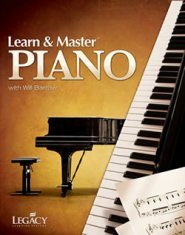 Learn Piano in 30 Days is one of the most complete courses online to learn how to play the piano. Learn some of the great benefits this course has to offer. Appointments may be requested for a piano tuner, piano technician, piano rebuilder using our online appointments page. Contact Us. Have a Question for Us? A Piano Tuner, Piano Technician, or Piano Rebuilder is one click away. Contact us for a FREE Quote! Pianos for Sale -- Steinway, Yamaha, Mason & Hamlin, Kawai, and more! 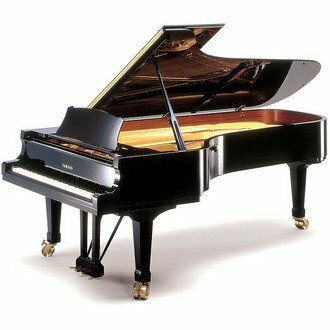 Pianos for Sale -- Steinway & Sons, Yamaha, Mason & Hamlin, Kawai, and more! Steinway and Sons was founded 1853 in Manhattan, New York City by German immigrant Heinrich Engelhard Steinweg. The company is an American and German manufacturer of handmade, high-quality pianos. Bösendorfer pianos are one of the most sought after brands in the world. Mason and Hamlin pianos with its many models provide pianists with a rich list of pianos to choose from. Yamaha Corporation - Founded in 1887 originally as a piano and reed organ manufacturer by Torakusu Yamaha. Baldwin pianos, company history, and serial numbers can be found on this page. Yamaha Disklavier Pianos For Sale. Includes Like-New & Gently Used Models Available. Call (909) 784-KEYS (5397). Warranty Information -- Pianos sold through Total Piano Care. Call (909) 784-KEYS (5397) for more information.